In the 1960s, up in the sky hovering over the city of Phoenix there used to lay a ritzy upscale restaurant known as Cloud 9. 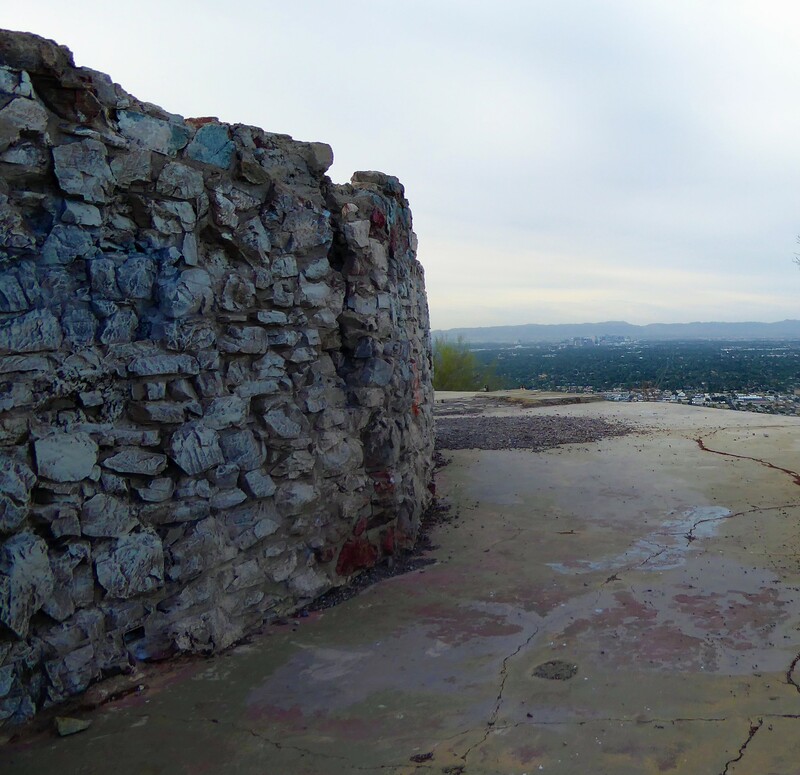 The clientele would flock to North Mountain for the experience of exquisite dining atop the summit while gazing upon the view of the city. As part of Cloud 9’s charm, the guests would park at the bottom and then be picked up and driven along a paved road high in the mountain towards the restaurant. Although by 1964, the good times at Cloud 9 would come to an abrupt end. A fire broke out destroying the building, resulting in the owners to move onto other endeavors. The swanky Cloud 9 would never arise again. The days of shuffling people back and forth by car are long over and the road is now crumbling apart and dusty from Earth’s dirt arising up. But this doesn’t mean it is deterring visitors from still coming up. 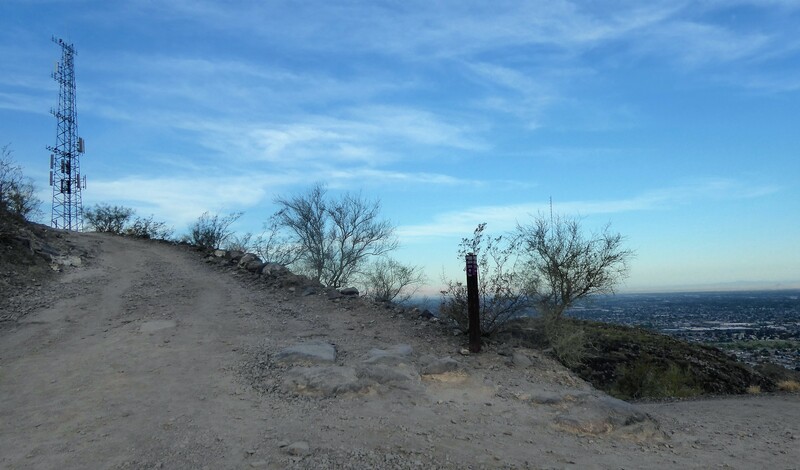 Upon this old road you now will see hikers traveling up and down this path to visit the remains of Cloud 9 and to take in that gorgeous view of the city. 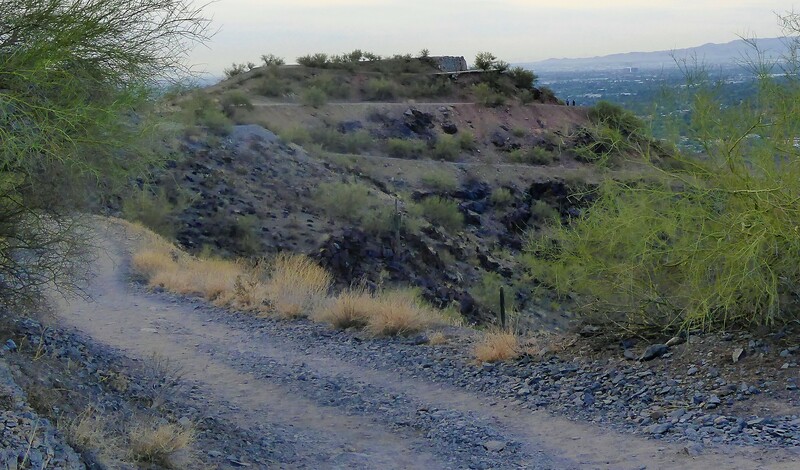 The road is now incorporated as a part of the Shaw Butte Trail #306, which is a 4 mile loop that goes up to the summit and then curves around the mountain top. From the starting location you can decide which way to begin the loop. 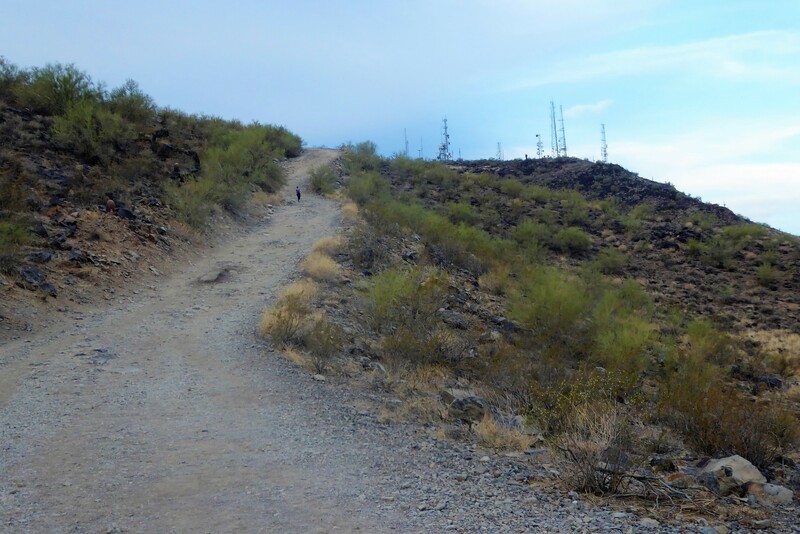 Either you can begin by heading straight up the old road to the summit or you can begin by veering to the left and taking a gradual, but longer trip up to the summit. For this write up, we went straight up the road first. Needless to say, the beginning of this hike is steep. This path has a few turns but for the most part is straight up route heading towards the large antenna’s standing upon the summit. The path is wide and allows a lot of space for hikers. 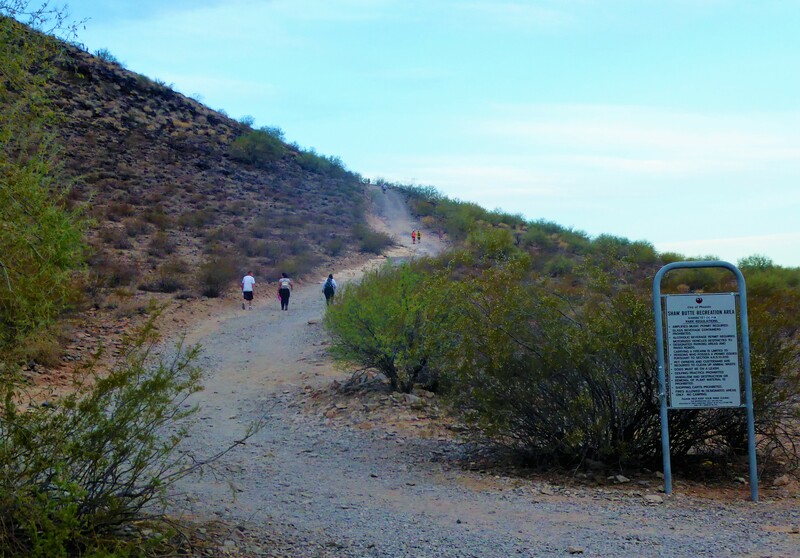 At around, 1.3 mile you will reach the area of the trail that is closest to the towers. 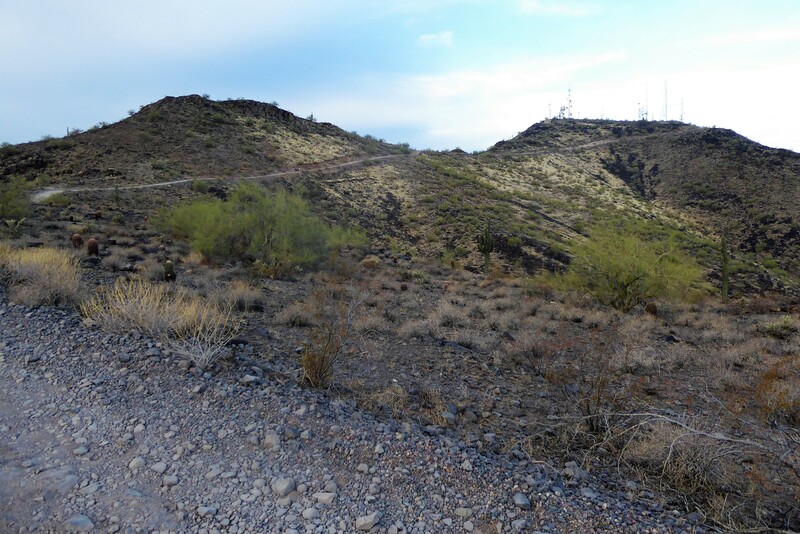 There is an unmarked side trail towards the left that will lead you up to the antennas. 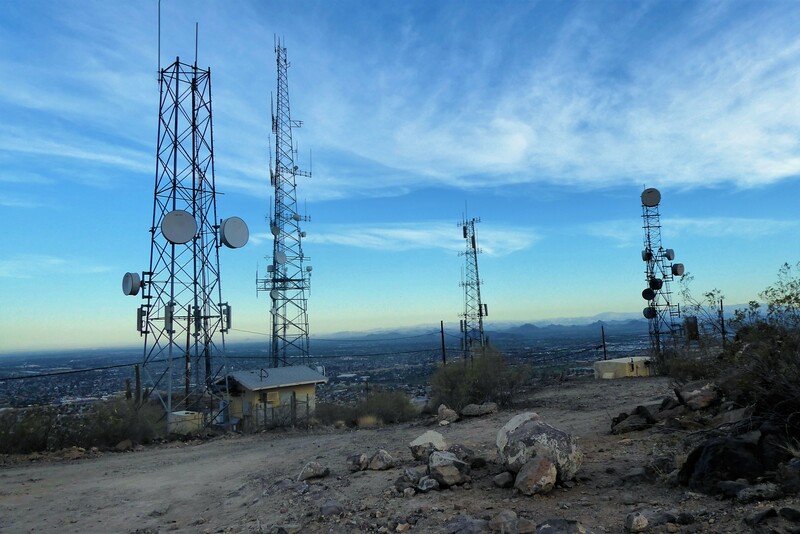 It’s a neat area to explore and be up close and personal with the antennas that so many see only from afar. At this point, the trail now switches from the dirt road to an actual normal dirt hiking trail. As you continue along, the trail begins the descent down and curves towards the right. From a distance, the path is somewhat deceiving due to a couple side trails branching out towards other lookout points. But the park does an excellent job of placing trail markers in these location so that hikers know where the actual trail is. As you veer to the right, you’ll get your first glimpse of the remains of Cloud 9. It looks like half of a stone building located along a natural curve of the mountain. As you approach closer you’ll notice another unmarked side trail that will lead up towards the top of this mound where this building sits. There is an eerie set of gray concrete stairs leading down onto a flat curved concrete surface. There are not a lot of pictures of what this restaurant looked like, but I believe it used to be a rounded building, with the patrons sitting on the circular patio on the outer exterior. Today, now hikers fill the small portion of the remaining patio, while either standing or sitting on the ground to take in the view. After passing the old restaurant, the trail begins to descend down and will lead you around clockwise around the mountain. At first the hike down is a little steep and there are a few narrow sections of switchbacks in a rocky portion of the mountain. After this section the rest of the trails declines down and remains gradual. 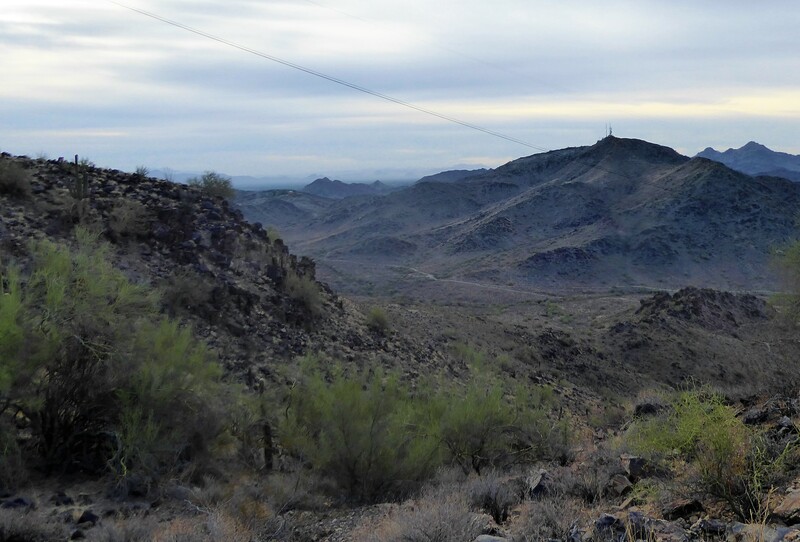 From here you get a great view of the inner interior of North Mountain. The views of city life escapes behind you and now you are now hiking towards the rolling mountain tops. As you approach the base of the mountain you’ll notice different hiking trails slithering out around you. Remember to follow the signs for trail #306 and it will take you back around to the end of the loop. As you hike along the last portion of this trail it will be flat and steady (the complete opposite of the beginning of this trail). As you make your way around you’ll notice the parking lot towards your right and then the trail marker for the end of this trail. The Shaw Butte Trails feels like a complete adventure. 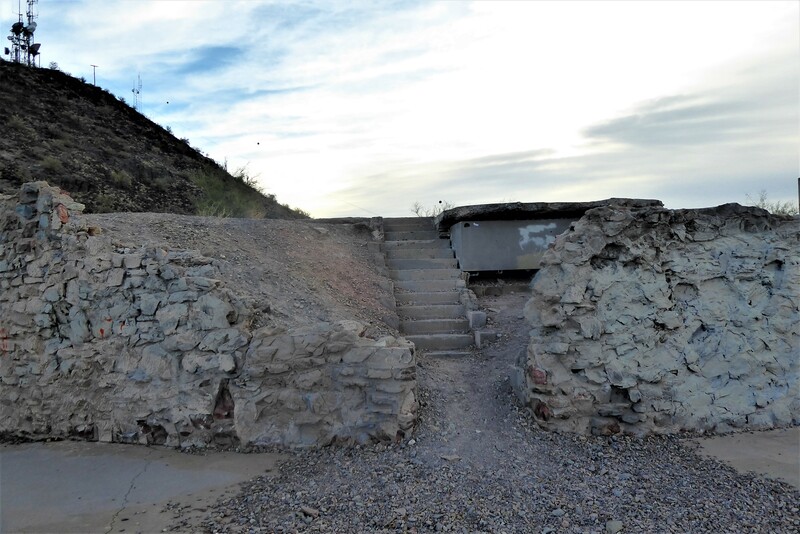 From visiting the remains of an old deserted restaurant and the feeling of leaving the city behind, it’ll feel like you have hiked longer than what you actually did. A special note about this trail, is that the parking lot fills up quickly. 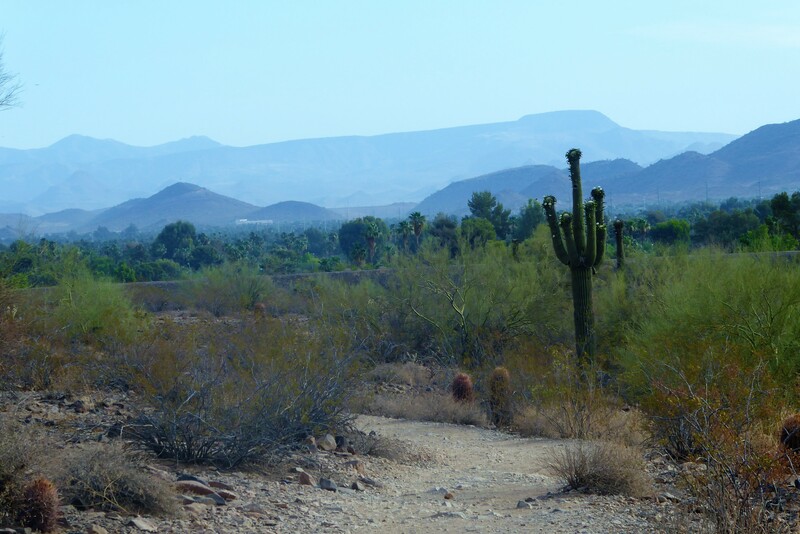 If the parking lot is full, then you can head over to the North Mountain visitor center (located at 12950 N 7th St, Phoenix, AZ 85022). From the visitor center, there is an unmarked trail leading towards the right that will intersect with the Shaw Butte Trail #306. Follow it down a short distance and then you come up upon the beginning of Shaw Butte. This is one of my favorite hikes, at least in part because it’s one of the closest to my home. 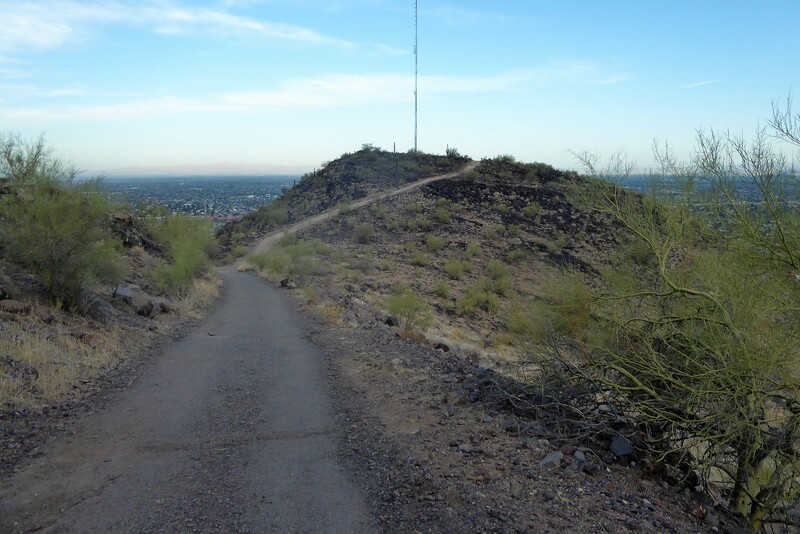 However, I usually park at North Mountain Visitor Center and hike it the opposite direction. I hike early in the mornings, so hiking the opposite direction allows me to spend more time in the shade of the surrounding hills. Another great batch of photos–thank you for sharing!